The arrival of the Gear S2 to Portugal is about to happen and so Samsung is preparing this moment. It will be on October 30 that the two models that make up the offer of Gear S2 will finally be available to everyone. This smartwatch wants to be something different in the market, opting for solutions that the competition has not adopted and that can hardly be accessed. First and foremost Samsung opted for an operating system that stands out from everyone. The Tizen was the choice that turned out to be more obvious, since it is already being used in other watches of the brand. Then we have the hardware and all of its clock structure, something that Samsung made a point of always keeping in mind. In addition to a touch screen, the Gear S2, can also be controlled by the crown that functions as a scroll through the functions. But above all this is also the touch screen itself. Samsung’s bet for the smartwatch area has been strong. With many models, always bringing innovation and novelty, the South Korean brand wants to be one of the biggest players in the market. His new Gear S2 is already starting to be a milestone around the world and now it is the turn of the Portuguese to have contact with this smartwatch. With an appealing and versatile 1.2-inch circular display with 360 × 360 (302 dpi) resolution, it includes the Home button and Back button for quick access to notifications and applications. Available in two versions, Gear S2 and Gear S2 classic, the first features a more modern design, perfect for the more relaxed user and for sport. The classic Gear S2 has been designed with a timeless timepiece finish and an elegant black finish, with a matching leather strap, perfect for the contemporary user and giving priority to mobility and productivity. This way, users can stay connected to the world through quick notifications to view calendars, emails and news, with the possibility of sending important messages directly from their wrist. The newest member of the Gear S family promises to bring the user experience to a new level and will be available at a recommended retail price of € 349.90 for the Gear S2 and € 379.90 for the classic Gear S2 . In Gear S2 Studio, below, Samsung launched an exclusive smartwatch booking campaign, limited to visitors to this space, with an extra bracelet to customize the Gear S2. Participation in the campaign implies payment in full or in part (at a minimum of € 50.00) of the reserved equipment. For the national launch of the new smartwatch (smart watch) Samsung Gear S2, Samsung today inaugurated the Gear S2 Studio. Until November 7th, Samsung will create, together with Gare do Oriente, in the Parque das Nações in Lisbon, a stage for a pioneering initiative of the brand in Portugal in launching one of its star products in 2015. More than just seeing, visitors will be able to experience – and live – Samsung technology in four zones – Surf, Multimedia, Music and Gear S2. The Surf area aims to bring the experience lived in Peniche to the heart of Lisbon, “transporting” visitors to the Gear S2 Studio for action through the Gear VR virtual reality glasses. Here’s a preview of content that takes us to Tahiti to surf a tube with CJ Hobgood and still catch a wave with Gabriel Medina. Through two augmented reality experiences, it will also be possible to take a photo with world champion Gabriel Medina or raise the trophy of the competition – these augmented reality photographs are printed on the spot and all visitors will be able to take home the portrait Of these two unique experiences. The Gear VR environment continues in the Multimedia room, where Samsung has installed six special chairs to access new music and football content, areas of choice for the brand. Here will be premiered local content, such as the Blasted Mechanism “Egotronic” video. In the Music segment, consumers will be able to discover the amazing sound quality of Samsung Level headphones through Samsung’s “Silent Nightclub”. Throughout the week this room will have a DJ program and local bands. 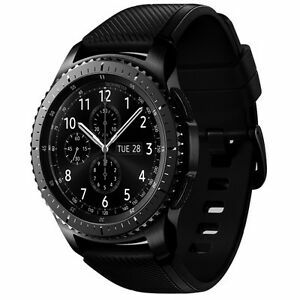 Finally, the space dedicated to the Gear S2 will satisfy the curiosity of those who can barely wait to experience the latest smart watch from Samsung and confirm the excellent reviews that the equipment has received worldwide. The Gear S2 will be available for experimentation, accompanied by a line of accessories with an irresistible design.